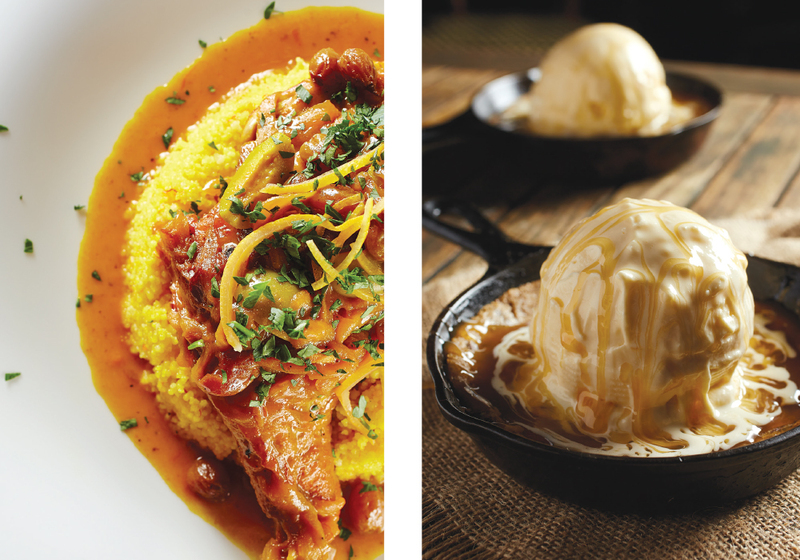 The restaurant culture that rules our region makes for an eating odyssey ranging from haute cuisine to casual tapas to cult-inspiring desserts. It’s no surprise a very scientific survey found Pulse readers dine out seven times per month. Thus, we applied a not-so-scientific approach to finding the best plates being served at some of our favorite eateries. Next time reservations lead to one of the spots on our list, build the order around these unforgettables. Scant few bivalves earn celebrity status but such is the case for this unique offering. The East End take on Oysters Rockefeller comes with garlic-scented spinach, chipotle and delicious parmigiano aioli. At Pulse’s annual Island Tasting event, crowds swarm chef/owner Robert Beaver. Understandably, seconds are common. 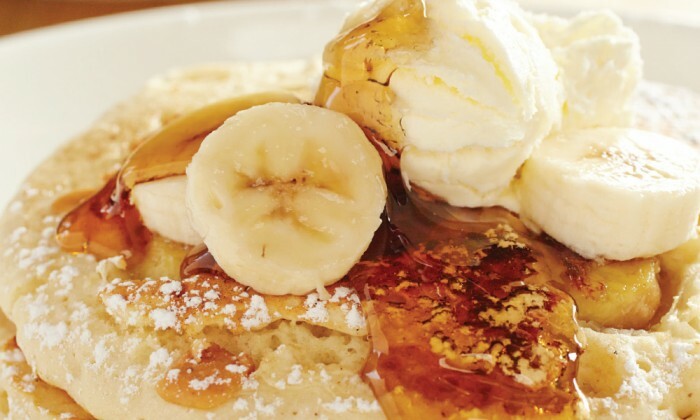 LCK serves up the biggest, fluffiest, most delectable pancakes this side of the Mississippi. Each bite is like chomping down on a cloud of griddled-batter deliciousness. Throw in some peanut butter and slices of banana for a taste of cloud nine even The King would approve of. This is no run of the mill potato standout. Truffle oil, check. Parmesan cheese, check. Chives…chives! The hint of onion flavor augments these fries to borderline addictive. 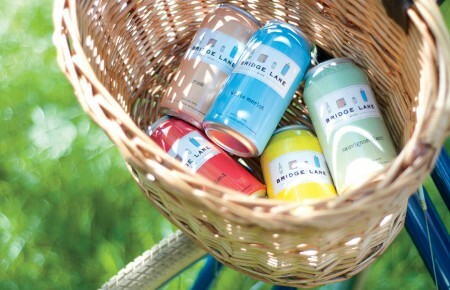 They also pair particularly well with Little Red’s New York strip or barely seared tuna sandwich. 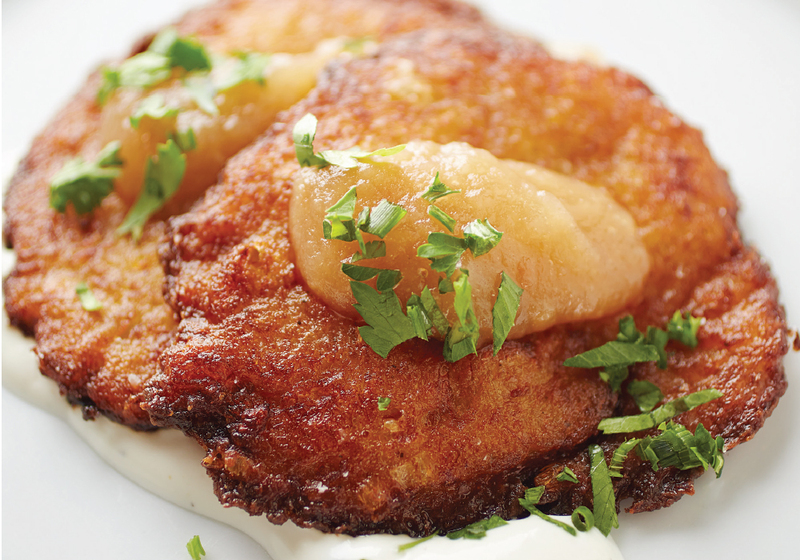 This low-carb alternative to potato latke is gluten-free and comes with applesauce and herb crème fraîche. The light dish is served as an appetizer and during brunch. Corn on the cob brushed with lime aioli, cotija cheese and smoked paprika may come and go from this menu, but it’s worth striking this small-plates nest whenever it appears. The secret in this dish is the combination of spices ( like saffron and coriander) married in the slow cook of an entire chicken leg with raisins and preserved onions. 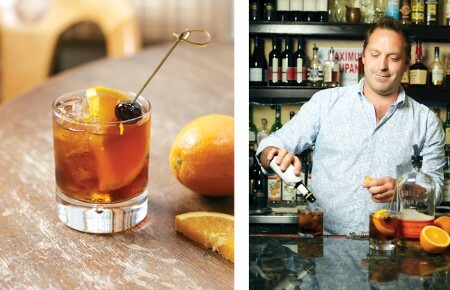 “You’ve got sweet and sour—it hits the palate in a good balance,” said chef Hatim Abid. To cap it off, all the juices are then soaked up by a saffron bed of couscous. Consider this legit Moroccan. Light-as-air tiny veal meatballs dance in a similarly diaphanous white wine, parsley and garlic broth. Save for the mouthful of flavor, you hardly feel like you’re eating. Scrumptious. Warm. Gooey. This giant house-made chocolate chip cookie—topped with French vanilla ice cream and house-made caramel sauce—belongs in the OMG category. For a full bounty of all the delectables of the sea, this is the dish. A pan-seared flounder is butterflied and stuffed with shrimp, crabmeat, scallops and clam juice, then baked and served with a creamy tomato butter sauce. Ambrosia was the food of the gods. This dessert comes pretty close. Thick, rich, delectable Nounos Creamery yogurt is studded with sour cherries and walnuts and topped with honey. There’s no wrong choice when it comes to mussels at this Belgian bistro, but the Homard mussels pot, covered in a creamy sauce with lobster chunks and a mouth-watering aroma and cooked over fennel and seasonal leeks is a fan favorite that even draws people from Connecticut and Westchester. It’s hard to know which part of this appetizer makes it. Is it the four-cheese lava? Vegetable confetti? Warm jalapeño pretzels? Who cares, the trifecta is a can’t miss served with crispy corn tortilla chips and flambéed tableside with rum. Far be it for us to encourage stasis on a menu, but when an entrée holds its place on a restaurant’s lineup, there’s good reason. Thus it is with this bone-in offering from Prime. A Flintstone-size melt-in-your-mouth veal chop crusted with a unique parmesan sheath, you understand. If you’re going to put a chicken dish on a list of must eats, it better be worth the drive. This French classic is, stew braised in red wine and served with mashed potatoes, carrots and mushrooms it’s like stepping through a time warp and winding up in France during the reign of Henry IV. South Ocean Grill’s house-made veggie burger is prepared with corn, black beans and brown rice brushed with sweet teriyaki glaze that makes it a can’t-miss for vegetarians running with a carnivorous pack. Careful, meat-lovers may want a bite as well. The name pretty much says it all. A blend of hot and salt are improved upon only by the mango salsa that brings the sweet. 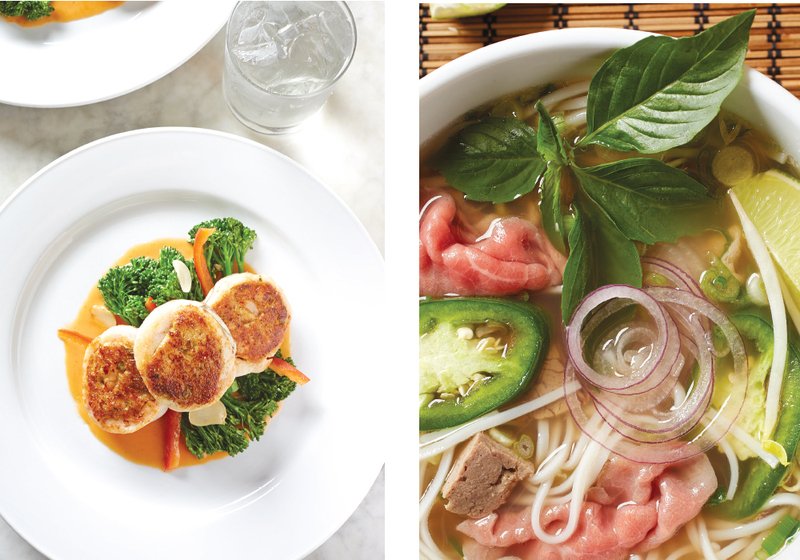 Beef pho is Vietnam’s national dish and Rolling Spring Roll does it justice—and then some. Its rich broth with rice noodles, meatballs, sliced beef and brisket is a satiable meal in a bowl.